Paint on the toys could contain excessive levels of lead. This recall involves about 967,000 various figures and toys manufactured between April 19, 2007, and July 6, 2007, and sold alone or as part of sets. The model names and product numbers for the recalled toys, which are all marked "Fisher-Price," are listed below. The toys may have a date code between 109-7LF and 187-7LF marked on the product or packaging. Retail stores nationwide from May 2007 through August 2007 for between $5 and $40. Immediately take the recalled toys away from children and contact Fisher-Price for information on returning the product to receive a voucher for a replacement toy of your choice up to the value of the returned product. 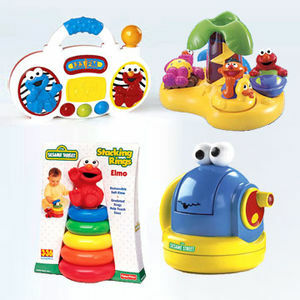 For more information, contact Fisher-Price at (800) 916-4498 anytime or visit their Web site at www.service.mattel.com.